Nokia 9 has been trying to return to the Smart Phone market for quite some time now. The Nokia 8 was a great hit among users and the Nokia fans did not let the company down at all. Now the news is doing rounds that Nokia 9 is about to be launched. HMD is the company behind the Nokia brand and it has done complete justice to its stakeholders right from year one. Nokia dis great business with Nokia 8 and Nokia 2 in the start of the year 2017. Nokia 3310 also saw a refurbished look and feel to match the lower-class segment. HMD has claimed that it will take around 10 years for it to reach the stage where Apple is today. But it has been able to take up HTC and BlackBerry in the race to the finale. Now it has been eyeing the market with its new launch of Nokia 9. Let us look at the specifications and features along with the release date for its true fan base. Earlier Nokia 9 was decided to launch in 2017 around Christmas but it had to pull out from the market due to some situations not know to all. But later it was decided that in the first quarter of 2018 it would come up with the Nokia 9 and make it large in the market. However, this also had been a rumour as the first quarter is already passed. The date is not yet final and is expected to launch during summer of 2018. Nokia 9 has some of the most exciting features that the users are eyeing in other brands. It must give something over and above the normal features to give you that X factor. Makers have found a new way of fingerprint sensor with an in-display scanner. The camera improvements will be much better than all the ones released till date by Nokia and the waterproofing feature will make it more robust. Aspect ratio has also been at 18:9 for display. The Qualcomm Snapdragon 835 chipset is all set to rock the smartphone world in its competition. There is no listing about the RAM yet but it would be almost great in competition as the world is currently on 4 GB. The storage onboarding is at 128 GB which is more than enough for the current scenario. The OLED Screen is by LG and has a size of 5.5 inches. The Android platform will offer Oreo 8.0 to its users. 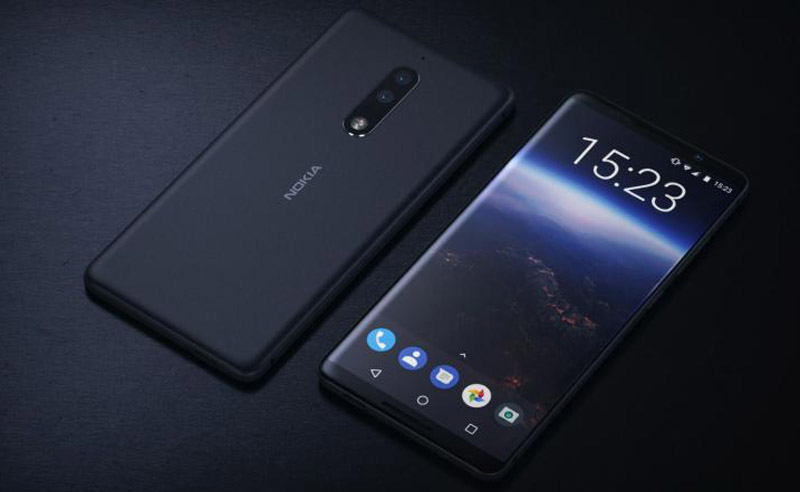 The main camera will be 12 and 13 megapixels with dual sensor setups better than the Nokia 8. The battery would be at 3250 mAh to give it a quick recharge and to sustain all the apps and work it would be doing as per the user preferences. It is much-awaited launch by Nokia and the users are just waiting to get their hands on it. The makers are making it difficult for the users to wait as they are stretching the timelines to ensure everything is in place. They have a name to protect and the shareholding cannot go for a toss with the smallest of errors. It is eyeing the larger market share and wishes to take the Android market by storm. It has been off the shelves for quite some time now and is taking baby steps to put their feet firmly on each step. Nokia has a long way to go and it is doing all that it takes to go that extra mile and get accolades for the company. Branding is its core criteria and they live by it.